The Emulator 4 Ultra arrived in three configurations, the E4XT Ultra, E-Synth Ultra, and E6400 Ultra. All three models are professional, three space, rack-mounted sampling/synthesizers. E4 Ultra shipped with version 4.0 of the Emulator Operating System (EOS), which introduced some very exciting new features to the Emulator line, including ‘Beat-Munging’ and ‘EOS Link’. Beat-Munging is a new real-time DSP tool that analyzes drum loops and phrases to automatically determine the BPM and perfectly loops the sample. EOS Link is a Mac or PC software application that allows you to control the Emulator from your computer desktop. 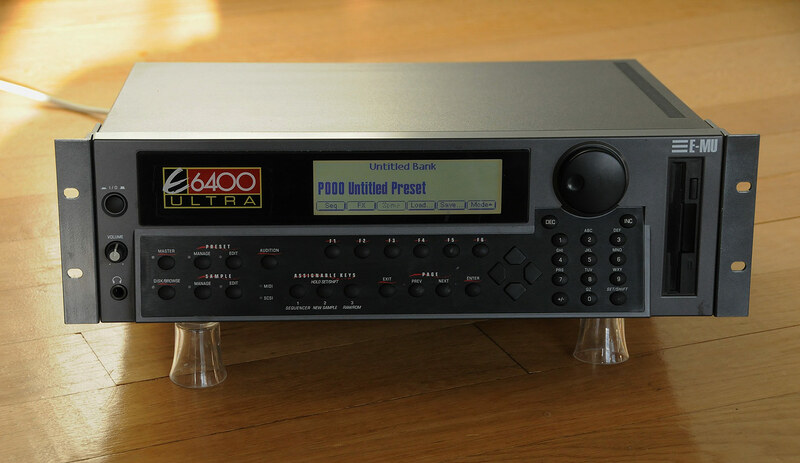 The E4 Ultra utilizes a 32-bit RISC processor, giving ultra-fast MIDI response time, SCSI, DSP operations and sampling.